If you’ve ever taken a long look at a dog and they’ve looked back, there’s no doubt you’ve seen them searching your eyes for answers. What answers could they possibly need? The answer is simple- All of them. We have cultivated and domesticated our four legged animals for centuries, yet, we humans continue to take them for granted. What they know or what we ‘feel’ they are supposed to know is much different than the reality. Nevertheless, we continue to feel we know them and they know us. As much as we humanize them and dress them up in protective vests, fancy collars, hunting apparel or Christmas sweaters, baby talk them, buy them only ‘grain free’ or ‘gluten free’ or ‘everything free’ food… one would think we would have a better understanding of them by now- yet we do not. Our four legged compatriots are here for us day in and day out and never once do we stop to think about the fact that although we expect them to live like us, in our human world, with our human things, human feelings, human rationalizing- they are still in fact never going to be humanized- they are always going to be dogs. So what is it about them that pulls us in so closely that we share our secrets with them, our homes, our snacks, our time and our affection? When you look at a timeline, revealing the fact that they have been by our sides for as few as 14,000 years or possibly even as long ago as 36,000 years, this then aids in why we are so trusting of these wonderful animals. Time has shown us their value- their drive, their ability to protect us, keep us safe, to get the bad guy or to keep the bad guys away, to guide those who are weak and need the extra hand, to keep us warm and to comfort us in times of need. But what isn’t realized still, is that they are dogs and they are living in a human world. One which continues to rush and soar around them; one in which they have no choice but to place one paw in front of the other and hope for the best. That is where we need to stop and look. We need to make sure we are doing our diligence to teach them how to live in this very chaotic world that buzzes, zooms, and radiates light at all turns. Dogs hold no answers to the lives they lead- but we, their humans do. Dogs do not know when they will be fed, if they will be fed, when they will get outside again in fresh air, if they will be let outside, they do not know when someone will walk through the front door to greet them. They do not know that chasing a ball into the parking lot is dangerous. They do not know skating across the top of a frozen pool is not a shortcut to the other side. But what we have loved about them all these many years is their hope- their focus on the moment. This is something we have lost in todays buzz of non-stop,instant gratification. We must hold onto their hope and continue to teach them daily, weekly, and yearly for all the years we are privileged to spend with them. Canine authority Jeff Franklin is the owner and operator of Cobra Canine, a full service dog training center and kennel providing the world’s very best canine training for dog obedience, and detection and security services. Franklin has over 28 years experience and has worked with over 10,000 pet dogs and families. He goes beyond typical avoidance training such as teaching commands like “sit,” and instead focuses on teaching dogs how to live in a human world. 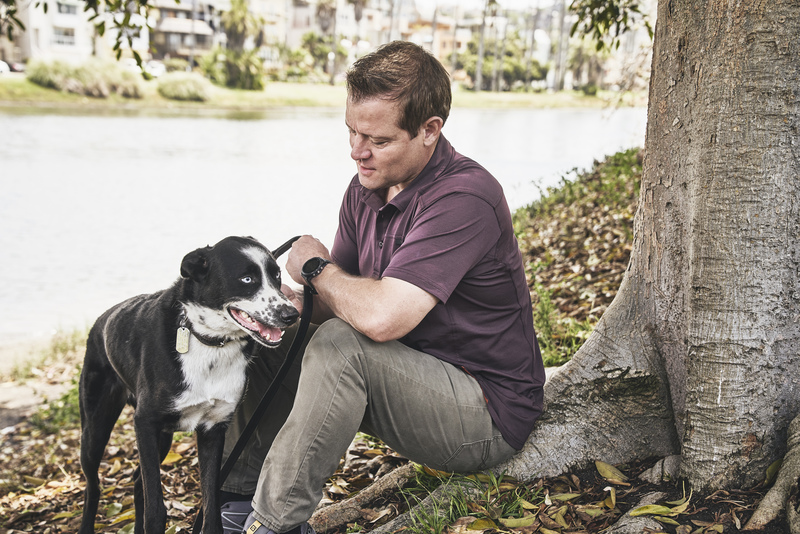 By instructing owners how to take the confusion out of things for the animal, and teaching dogs manners and lifestyle skills, Franklin transforms the lives of families and turns pets into assets. As the pioneer behind Elite Working dogs trained for the United States Military—and a veteran himself—Franklin also trains dogs for police, SWAT, Military units, personal protection and drug detection. He has been directly responsible for serving the needs of several large programs including DOS, Pentagon, U.S. Customs, U.S. Military, Guatemala, Ecuador, El Salvador, Paraguay, Algeria, and numerous police departments. Additionally, Franklin has over ten years of real world experience as a police canine handler and trainer, and has seen first-hand the results of his efforts. His memoir by Matthew Duffy, Franklin: The Man Behind the United States Commando Dogs, offers an exhilarating look into his fascinating career and is available on Amazon. Connect with Jeff Franklin on Facebook @CobraCanine, Twitter @CobraCanine, Instagram @cobracaninellcand visit www.cobracanine.com.